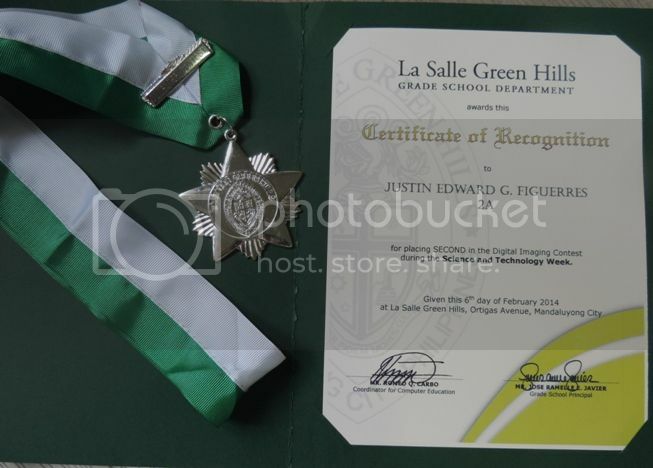 Last February 3, I received a note from Justin’s Computer teacher, telling me that among the participants in the elimination round for the Digital Imaging Contest, our son was chosen to represent his class in the final round of the said contest. During the elimination round, Justin said they were asked to draw whatever they wanted using MS Paint, and during the final round, they were asked to draw a robot using the same computer program. 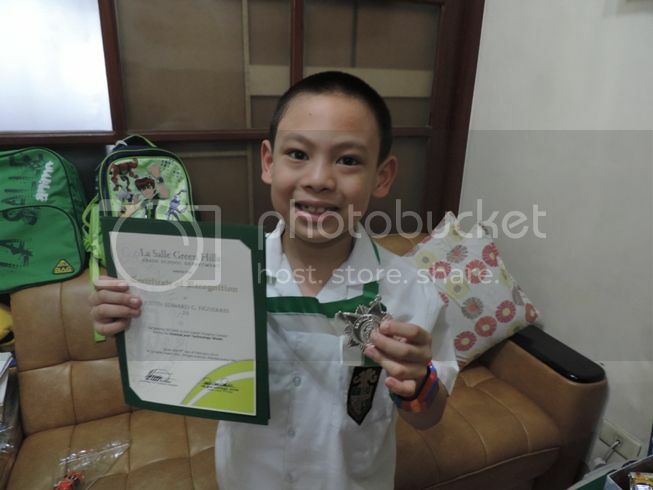 Last March 3, Justin went home with a silver medal and a Certificate of Recognition for placing second in the said contest. The Digital Imaging Contest was held during the Science and Technology Week. Congratulations, son, and keep up the good work! This entry was posted in Digital Imaging Contest. Bookmark the permalink.